Description: Play games online makeup! Try manipulating makeup to have a pretty face! 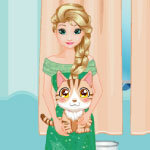 GirlsGoGames Play Games Elsa Frozen Ball Makeover!